Reuters‘ global network of 600 photographers distributes 1,600 pictures each day, added to a growing archive of over 6 million. Images are transmitted within minutes to the world’s media providing a constant window on the world. 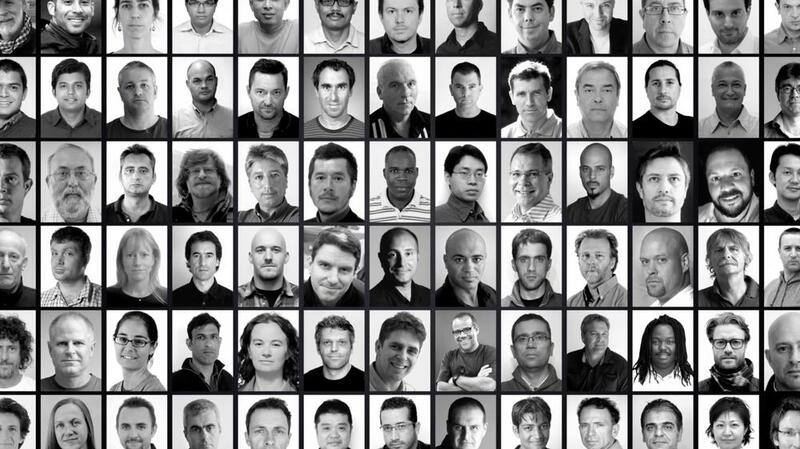 Their photographers won more than 60 international photography awards in 2012, including major prizes for Damir Sagolj in World Press Photo and Pictures of the Year International. Sgt. 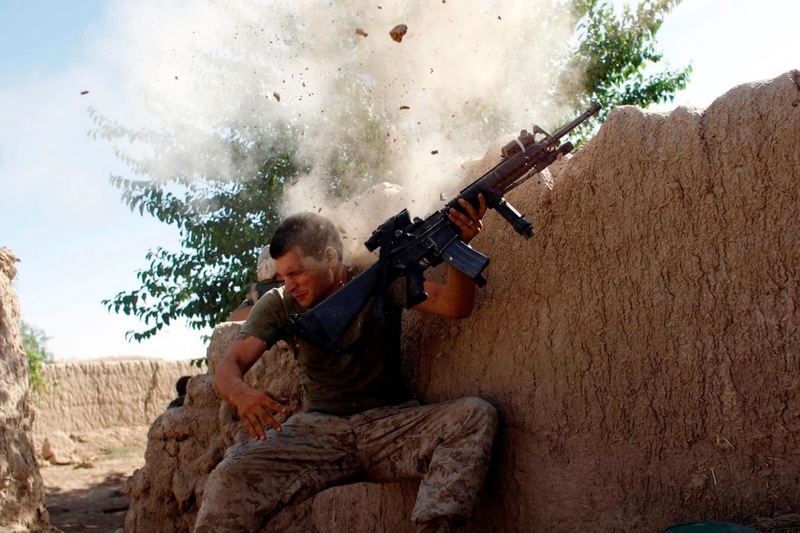 William Olas Bee, a U.S. Marine from the 24th Marine Expeditionary Unit, has a close call after Taliban fighters opened fire near Garmser in Helmand Province, Afghanistan. He was not injured. 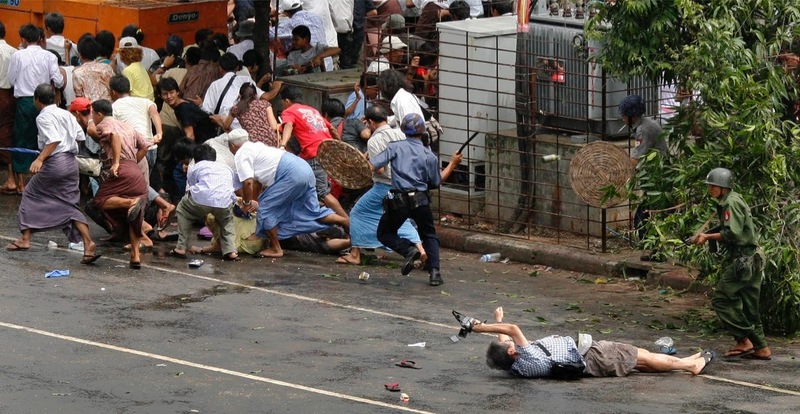 Kenji Nagai, a Japanese video journalist, tries to take photographs as he lies injured after police and military officials fired upon and then charged at protesters in Yangon’s city centre. He later died. 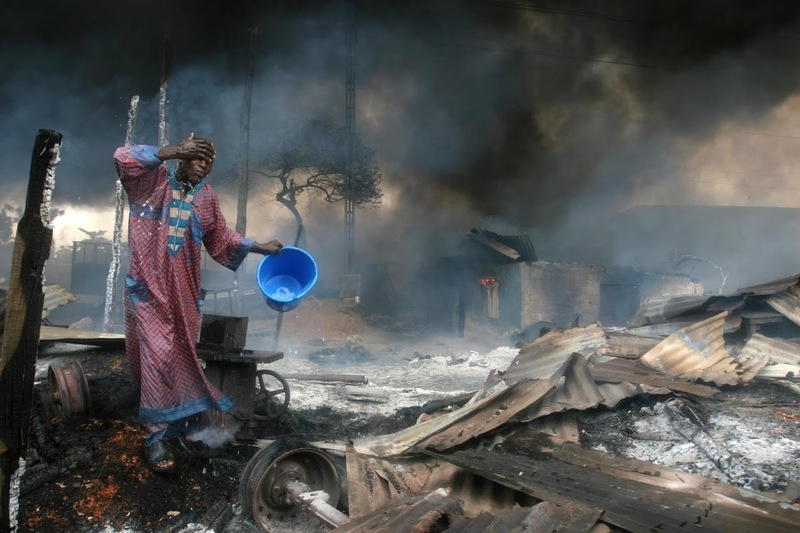 A man rinses soot from his face at the scene of a gas pipeline explosion near Nigeria’s commercial capital, Lagos. 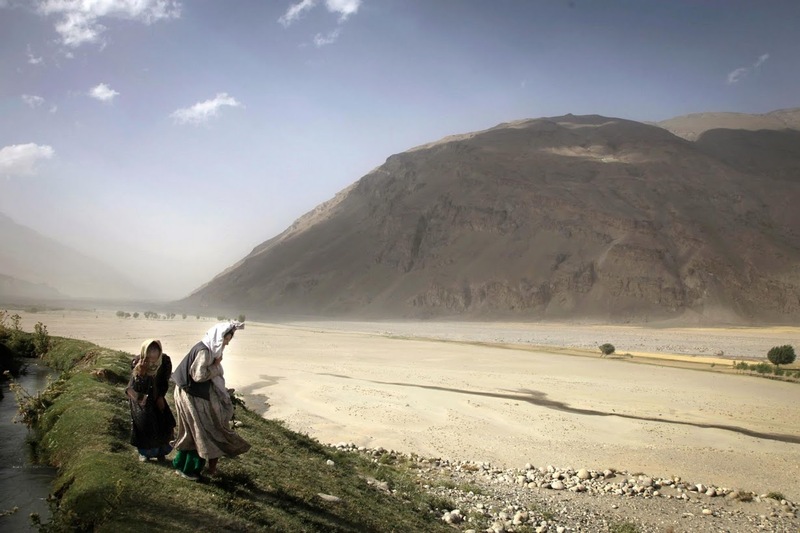 Afghani women make their way to the border of Tajikistan. 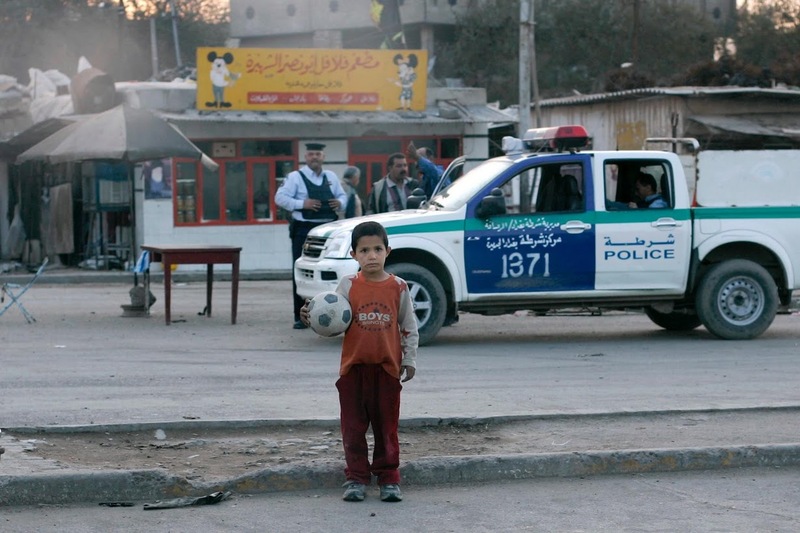 An Iraqi child watches U.S. soldiers leave the area after a car bomb explosion at a market in the neighbourhood known as New Baghdad. 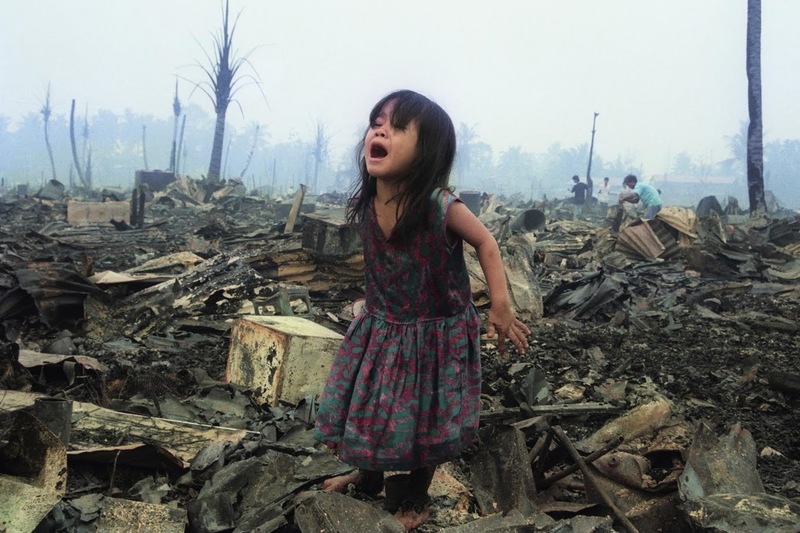 A girl cries as she helps her parents salvage belongings from their home after a fire gutted the area and left 658 families homeless. 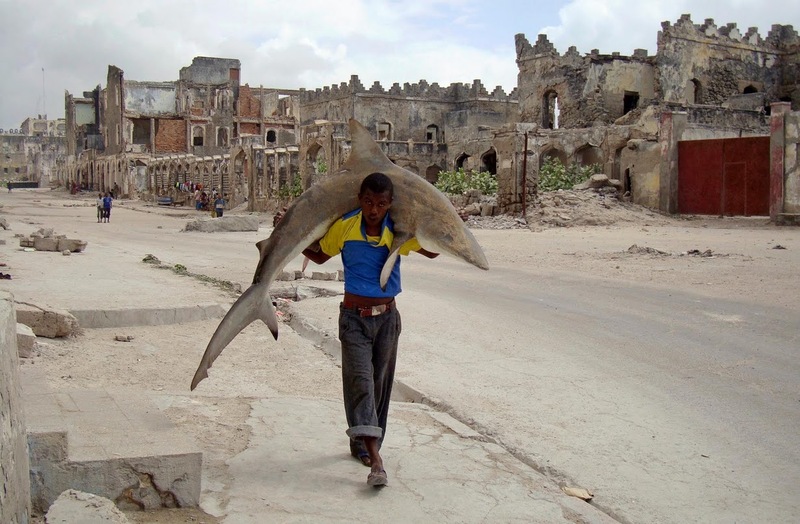 A man carries a shark through the streets of Mogadishu. 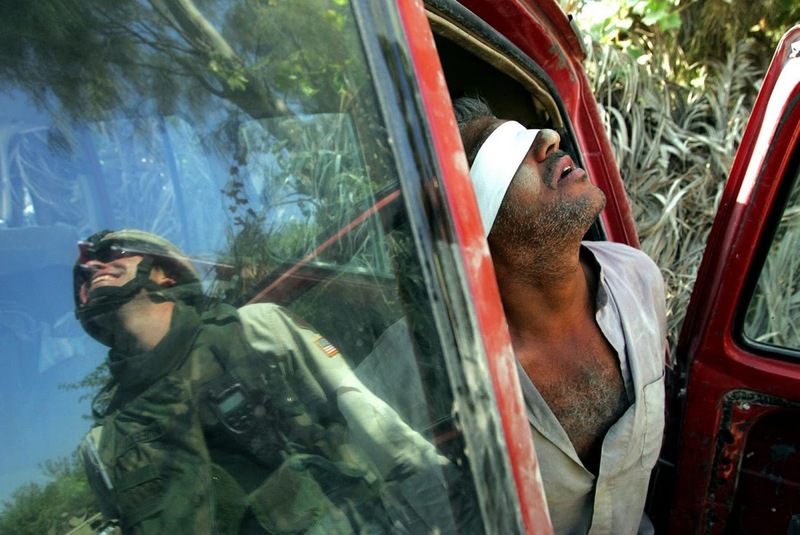 An Iraqi man suspected of having explosives in his car is held after being arrested by the U.S. army near Baquba, Iraq. 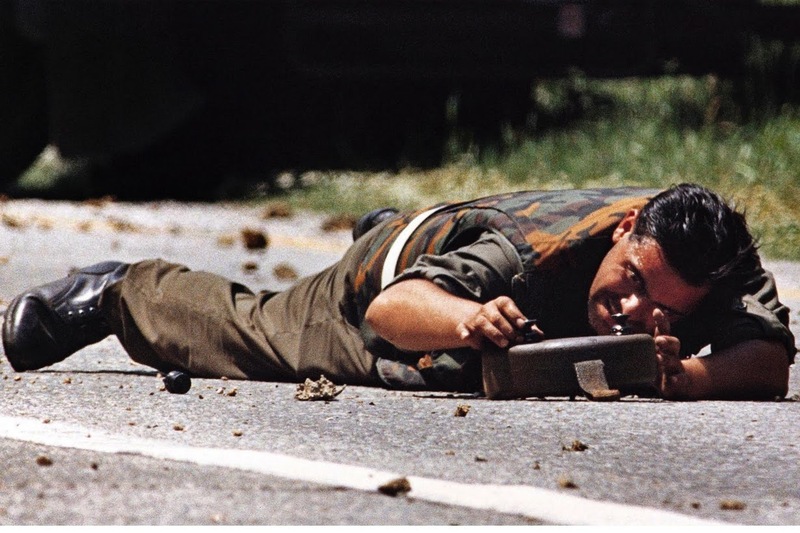 A Yugoslav army officer defuses an anti-tank mine planted by Slovenian forces on the highway near Krsko July 2, 1991. Rescue workers carry fatally injured New York City Fire Department Chaplain, Rev. 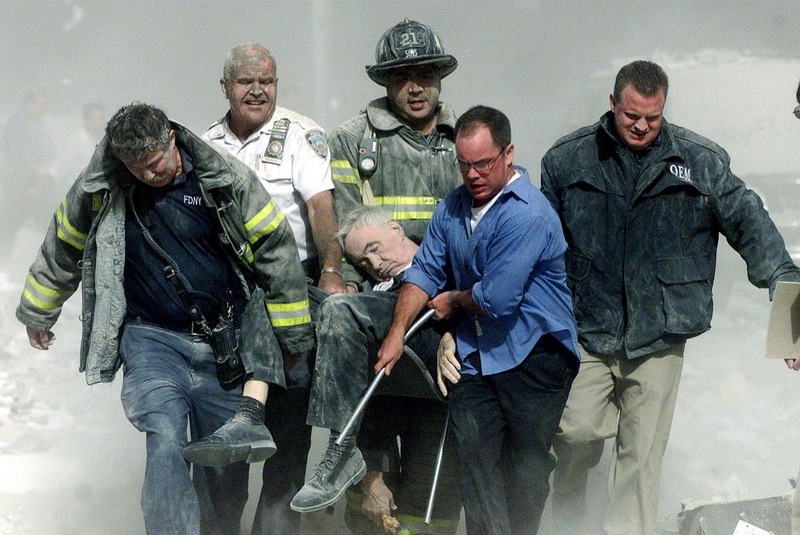 Mychal Judge, from one of the World Trade Center towers.